The U.S. National Rosary Pilgrimage has been operating since 1956. The pilgrimage was first organized by John G. Hodgson, the Founder and President of Catholic Travel Office. John Hodgson died in 2005, and the pilgrimage continues under the Direction of his daughter, Elizabeth Grinder and a devoted Staff, many of whom have be accompanying the pilgrimage for over 15 years. Our staff includes clergy, medical personnel and volunteers to assist the needs of the pilgrims. 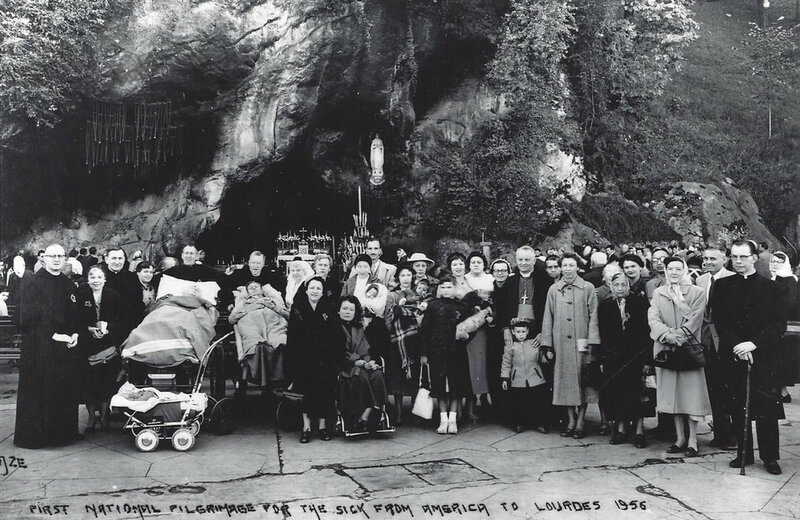 Over the years, the U.S. National Rosary Pilgrimage has carried thousands of pilgrims from all over the United States to Lourdes including families, parish groups, individuals and young adults. 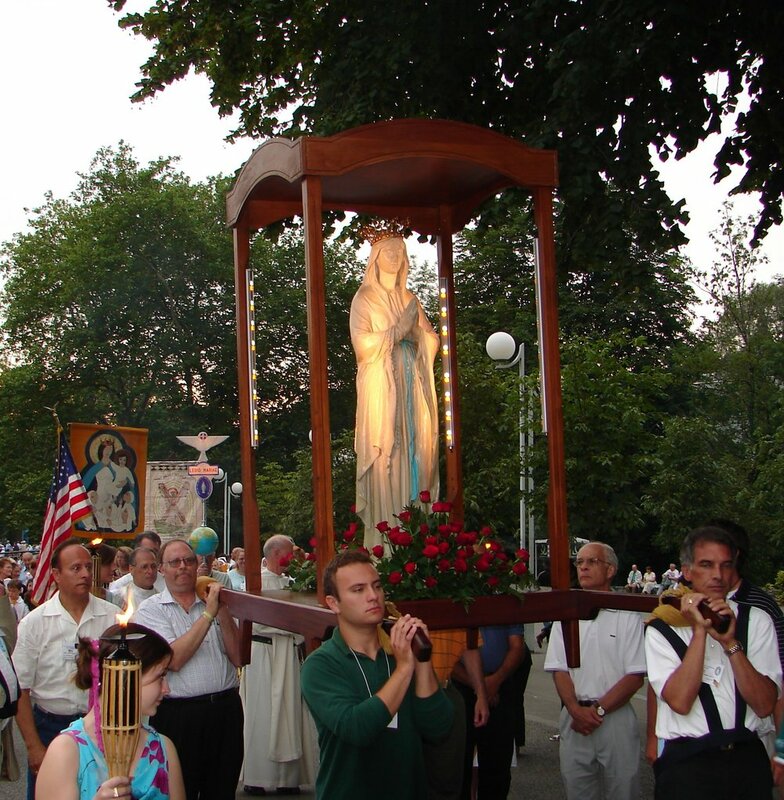 As one of the registered National Pilgrimages of Lourdes, we participate in the liturgical services and processions of Lourdes with other National Pilgrimages from around the World. This is a wonderful opportunity for pilgrims to experience the International Church as a family while embracing the messages of Lourdes which are ones of solidarity, humility, love and compassion. We come to Lourdes for many different reasons: entrusting our concerns, gratitude, service to one another and our prayers to our lady of Lourdes, the Immaculate Conception. One cannot help but to feel our Blessed Mother’s loving embrace which seems to permeate the atmosphere of Lourdes – an amazing, gentle, compassionate place where friendships are made and joyful memories are created. Six million people from around the world visit this special Marian shrine each year. Our experiences in Lourdes transform us as we come to a deeper understanding and acceptance of our own uniqueness while providing compassion and comfort for each other. We laugh, we pray, we process, we dance. In solidarity, we celebrate our Blessed Mother’s love as she directs us to her beloved Son. Our pilgrims leave Lourdes spiritually nourished and full of joy and gratitude - and it happens every year!